There’s nothing better than coming home to cool house on a hot summer day . . . and nothing worse than turning on your Air Conditioner and finding that it’s not working properly. Air Conditioning failures are inconvenient, and because cooling systems are relatively complex machines, the parts needed to repair them can be expensive. However, the good news is that it’s easy to avoid serious repairs and unexpected failures by properly maintaining your AC system. In a way, Air Conditioners are like cars. Just like a car needs an oil change from time to time, air conditioning systems need to be tuned-up to keep them running properly. If you neglect to change the oil in your car, the effects may not be immediate–you may go a few thousand miles past when the service is due before you start having issues–but eventually neglecting simple maintenance will result in complete failure or irreparable engine damage. A comparable example with air conditioning is the run capacitor for the compressor: the component is relatively cheap, simple to check and almost as easy to replace, but failing to replace a bad capacitor can lead to compressor failure–a repair several orders of magnitude more serious and costly. 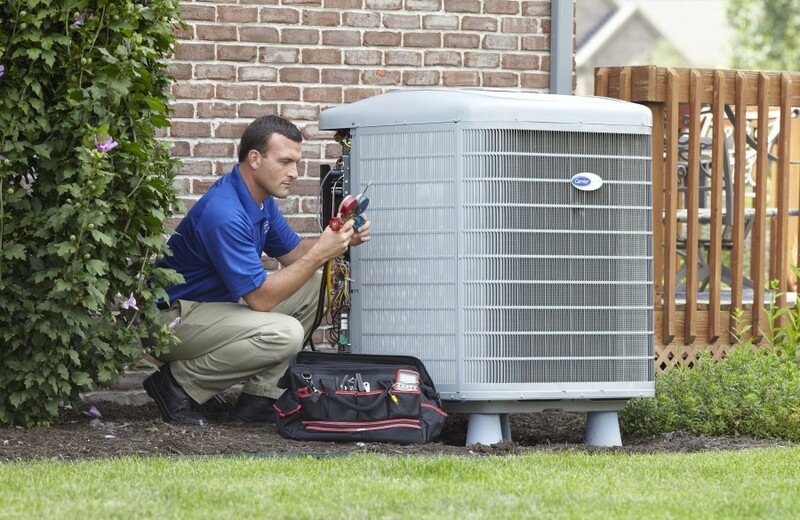 Our AC service is a comprehensive treatment that is designed to prevent future repairs, identify and correct issues, verify the performance and efficiency of the Air Conditioner, and help you get the most out of your system. Our technicians are talented, professional, and experienced; not only will they get your system running at its best, they can also answer any questions you have and even help you address other home comfort needs like improving air quality, reducing allergens in your home, and lowering utility bills. So don’t wait for an unpleasant surprise in the middle of a hot day this summer, call to schedule AC service (or submit the form on the right, if you’d prefer) with Marr’s Heating and Air Conditioning and enjoy peace of mind and a cool, comfortable home all summer long. Want more information on the details of our AC service? We pride ourselves for having the most thorough, detailed Air Conditioning tune-ups in the industry, click here for a complete breakdown of what our AC service includes. Our air conditioning service was designed in reference to Energy Star recommendations for annual maintenance and ACCA/ANSI standards. Already a believer in regular maintenance? Sign up for a Maintenance Agreement and save over 25% every year, plus get priority service and extra discounts on any needed repairs! Click here for more information on annual Maintenance Agreements .